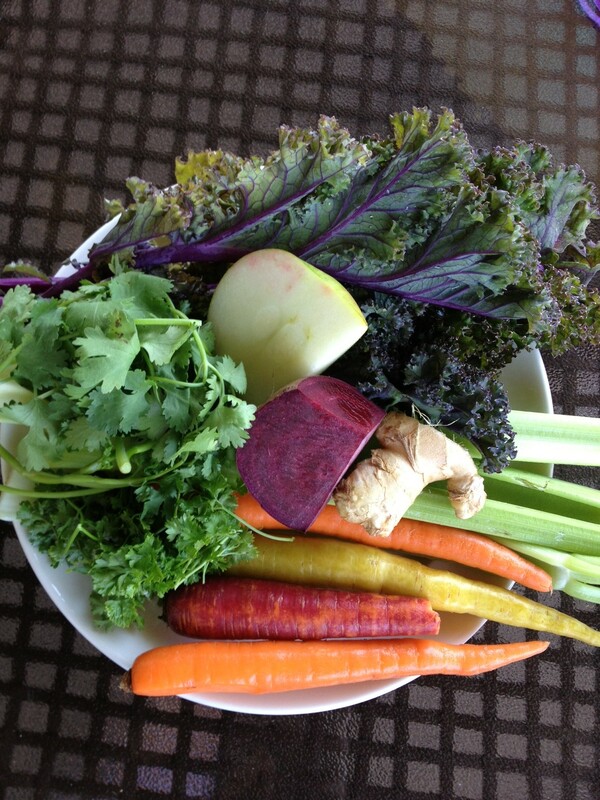 I touched on juicing in the blog, “Big Girl Steps to Health” and in other posts. I get a lot of questions about juicing from my friends so I wanted to address it again. In the past year I have made a lot of changes for the good of my health. The biggest and best change has been juicing in the morning instead of eating breakfast. I generally don’t eat from dinner the night before until noon the next day. I juice in the morning. If I’m absolutely starving and cannot wait until noon to eat, I eat an avocado; the whole avocado straight out of its little skin. This gives my body a chance to really digest whatever I have eaten the day before. I am not hungry throughout the day in a way that I was a year ago. I truly believe it is because my body is actually getting nutrients. It is nourished. It is a new feeling. There are a lot of different theories and preferences when it comes to juicing. There is the whole Vitamix versus juicer controversy; well, hardly a controversy, but two different camps. The Vitamix keeps the fiber in the drink. The juicers remove the fiber. We all know that fiber is good for us, so why remove it? From what I have read, it is better to remove the fiber so the body does not have to do any digesting. The nutrients are quickly absorbed from the juice. Don’t get me wrong, I eat my share of veggies and get my fiber that way. But in the morning, I go straight for the nutrients. YOU MUST USE ALL ORGANIC PRODUCE WHEN YOU JUICE. If not, you are grinding up and ingesting pesticides. I mainly juice vegetables. Sometimes I will juice grapefruits or cherries. Cherries have incredible anti-inflammatory properties. If you know anyone who suffers from gout, have them juice cherries. Moreover, this juice is highly alkaline versus acidic. You should try to keep a ratio of foods and drink at 70% alkaline and 30% acidic to keep your body functioning at an optimal level. You can Google more information on alkaline versus acidic foods. Basically, disease thrives in an acidic environment. Drink your veggies and avoid disease. Cheers!